Of all the smells that can invade your living space, few are as easily identifiable, and repulsive, as the lingering odor of cigarette smoke. It does more than smell; it seems to leap off of surfaces and into your nose, eyes and lungs, where it “sticks” and makes itself at home. We could go on for hours about the ways this particular odor can be less than pleasant, but we’re solution-oriented thinkers, so we’ll give you some amazing – and proven – cigarette smoke eliminators. When looking for a good air cleaner for cigarette smoke, simply knowing what absorbs cigarette smoke is priceless, and will keep your home fresh and pleasant for you and your guests. Some of these are simple, holistic like methods, and others require a more scientific approach. You choose the ones that are most convenient – or realistic – for your particular situation. This wonder-powder does more than work miracles when it comes to cooking, its serves a variety of other useful purposes. One of the most important is its ability to absorb odors while gently dehumidifying the air. For a special touch, you can get fancy with some scented baking soda. It needs to be dusted on as many surfaces as possible, left overnight, and then thoroughly vacuumed up. As we’ve covered in a previous article, vinegar does an impressive job at combating unwanted odors, and is especially effective at dealing with areas affected by cigarette smoke. You can either dilute it in water and use it as a solution to scrub-down surfaces, add it to your laundry to deodorize clothes, or boil it and let the resulting steam into your home’s atmosphere. The only drawback to this method is that you’re exchanging cigarette smoke odor for that of vinegar – but fear not, it’s easy to fix with the handy baking soda mentioned above. 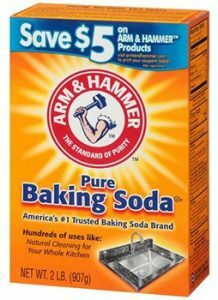 We know what you’re thinking: “Why not just start with the baking soda, instead?” Baking soda might not be enough to completely eliminate cigarette odor, in some cases. For these situations, you need a team effort. Charcoal is a strange substance, but believe it or not, it’s a safe, natural and non-toxic cigarette smoke filter. Place shallow trays around the house with a small amount of charcoal in each. 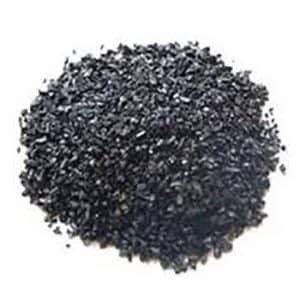 Note that we’re not talking about the kind of charcoal you typically use for family barbecues – although these also work, but not as effectively – we’re referring to activated carbon that is much more effective at absorbing contaminants and odors from the air. You can purchase it in powder or capsule form, grind it up to increase surface area, and pour it into your trays. Repeat after a few days if the smell remains, using fresh activated charcoal. If you only have access to regular grilling charcoal, it will do the trick. Ironically, this same charcoal used for keeping the fire going on the grill is one of the best ways of how to get rid of fire smoke in your home. Speaking of carbon, consider an air purifier with a carbon-based filter (carbon filtration layer) to remove cigarette odors once and for all. 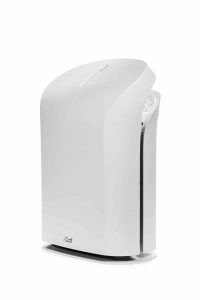 Although any quality air purifier will likely reduce the unwanted odor to some extent, a unit with a carbon filter is the best air purifier for smoke as this added filter is able to harness the wonderful pourus nature of carbon to soak up the chemicals in cigarette smoke that produce the odor. Yes, buying an air purifier is a more expensive option than the previous methods we’ve covered, but the results are significantly better, making this the best cigarette smoke deodorizer. This one works – really well – but you have to be careful, as ammonia is toxic. Make sure to keep it away from children, and thoroughly scrub and rinse surfaces after use. Ammonia is a more aggressive tactic – a sort of last resort – when odors have worked their way deep into walls, floors and other surfaces. Dilute it with water, and follow the same approach mentioned above for using vinegar to remove smoke odor. It’s essentially the same process (including removing the ammonia smell afterward with baking soda), but with a much more powerful chemical. Useful for more than just disinfecting scrapes or as a mouth rinse, this chemical is a powerful oxidizer, which means it can also provide oxygen to your odor-ridden area. Use it in a similar manner to the ammonia and vinegar methods stated above. The advantage to this approach is that hydrogen peroxide is a fairly cheap solution that can be purchased from virtually any store. Even after you’ve succeeded at removing that pesky cigarette smoke odor, you can put the remainder of the liquid in a cabinet for other uses in the future.